I am often intrigued by the latest trends. And a celebrity trend reported by http://www.thinkthrufashion.com/ got me to thinking. I am not usually fashionable, but this trend inspired me. 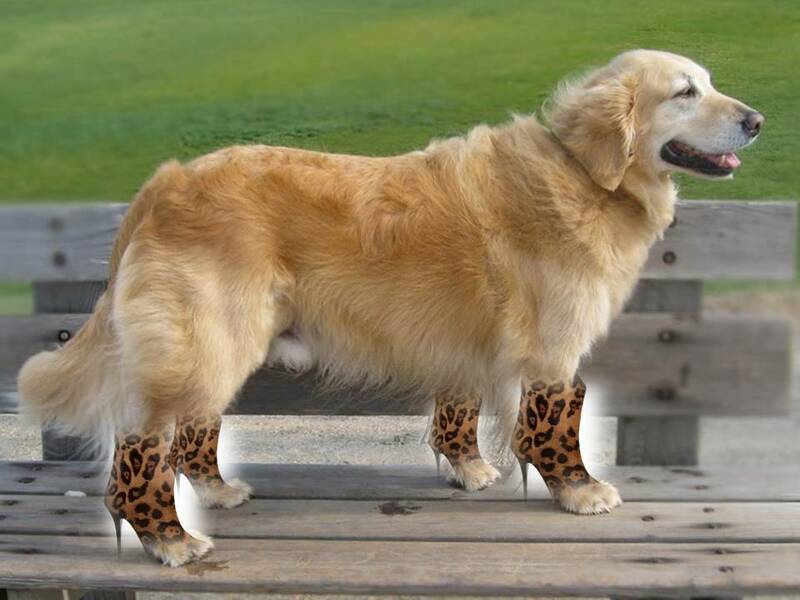 I think leopard shoes are pretty cool! Maybe this could also be a trend among dogs? 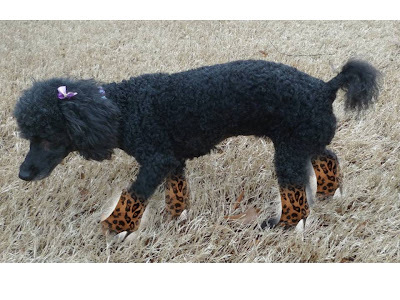 So I tried the leopard booties but Dad got upset. 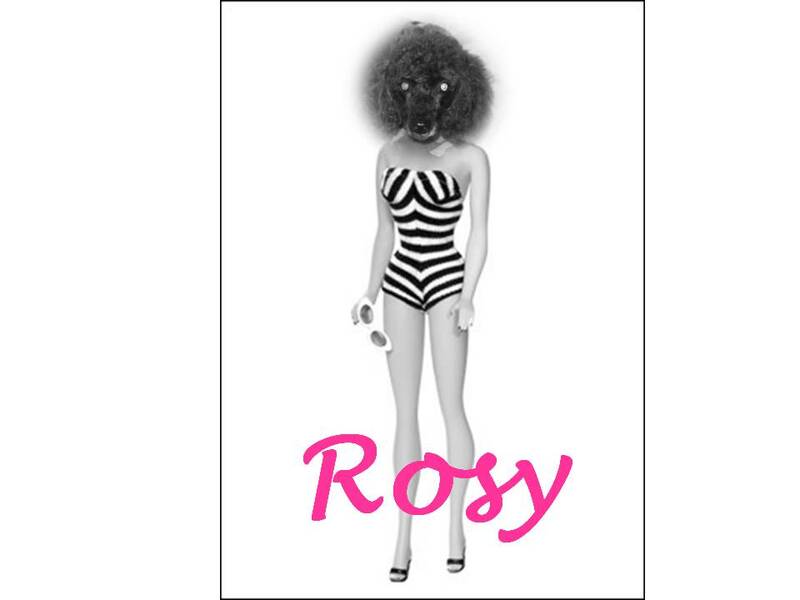 So we decided the heels would look better on Rosy. Maybe they have leopard wingtips for me. The dishwasher is very confusing to me. Some humans put dishes in the dishwasher exactly as they are without rinsing. Others rinse the dish with water before putting it in. Other humans wash the dishes with soap and then put them in the dishwasher. (What is the point of that?) And lets not even go into how many different ways humans load the dishwasher. Why does everyone do things so differently? Don't dishwashers come with instructions? When my little human niece and nephew were here, everyone went to the Children's Museum and loved it. Fuzz, Rosy and I didn't get to go because dogs aren't allowed. So the other day on a walk we passed the Children's Museum. There were lots of children coming in and out that looked very happy. I wonder why there isn't a Dog's Museum that dogs can have a fun and educational learning experience. I know my Mom would take us for sure. Do you know of any where you live? There is lots of construction stuff going on in my yard. Yesterday they drove in this new thing that I hadn't seen before. It had its name on it. BobCat. It didn't look anything like a Cat. And it got me to thinking. Lots of stuff is named after the feline species. 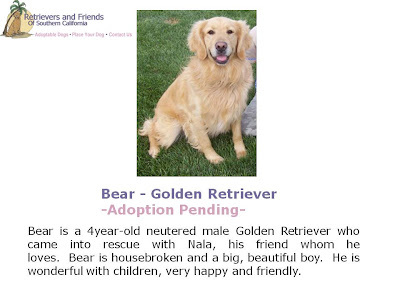 Why can't I think of anything named after the canine or Bearnine species? The other day on our walk, we came across something exciting that was put by the neighbors trash. A pink jeep! Rosy asked me if she could drive it. I said, it wasn't my car. But if it was (I sang) "Baby you can drive my car!" So Rosy took that as a yes. 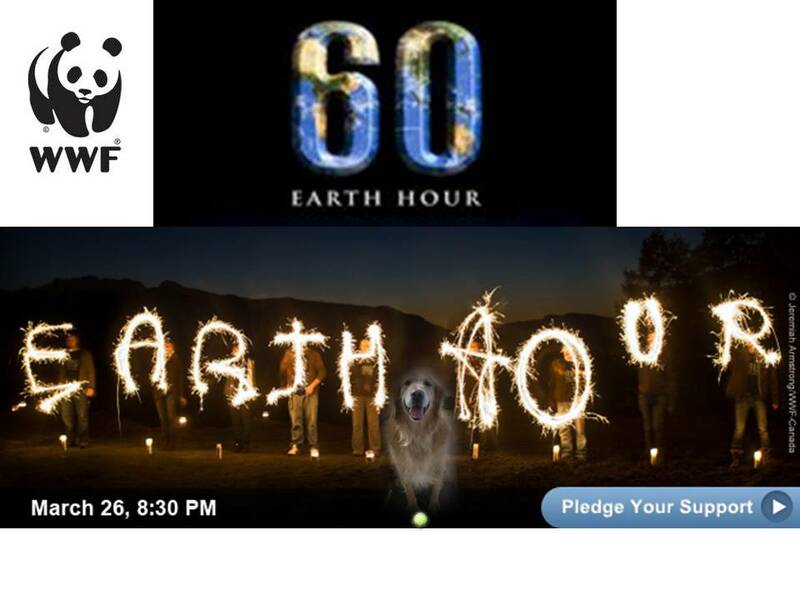 Tonight at 8:30pm it is Earth Hour. I, Bear in Memphis, will join with people (and their pets) in 128 countries around the world, and turn the lights off in our house. Earth hour is a celebration of something we all have in common- planet Earth. But we also need to think beyond the hour. I asked Mom what she can do. She said she will try really hard to always remember to take the reusable canvas bags when she goes to the supermarket. I suggested that I could help by having less baths and sleeping later. Mom said I was on the right track, but I needed to think outside the Bear. What will you do beyond Earth Hour? As you probably know by now, I love to eat, but I need to lose weight. Mom has been giving me lots of veggies like carrots and green beans to fill me up. And instead of treats, she even gives me carrot bones sometimes. Well the other day, a package arrived for me. Now, not only do I get to eat my veggies, but I will be wearing them too! Introducing my new Veggie collar and leash set. It looks so good, I almost want to eat it! Last weekend we celebrated my Gotcha Day. 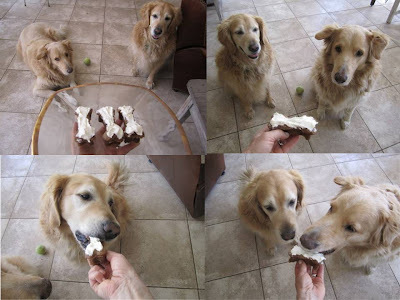 Instead of a regular cake, Mom made us PupCakes! I watched her mix in peanut butter...yum! Then when they were done, she frosted them with cream cheese! Double Yum! There was one for each of us. She served them to us on a very fancy plate. Triple YUM! The box they came in said Pupcakes 2 Go. In our house, they're called Pupcakes Go 2 Fast. I am so glad I live in Memphis now. It is only fitting for me, a Bear, to be a fan of another Bear species. 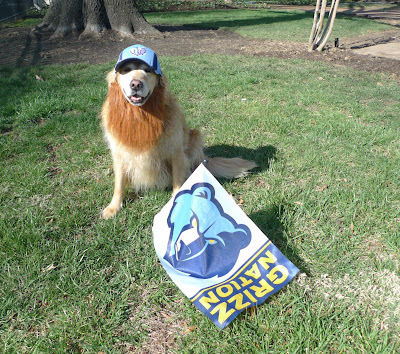 So as a Memphis Grizzlies fan, I have taken the pledge to rock a beard to the playoffs: "This is my playoff beard. It is a symbol of my untameable grizlliness. Since I cannot grow a beard, I am wearing one that closely resembles what a beard would look like if I did grow one. 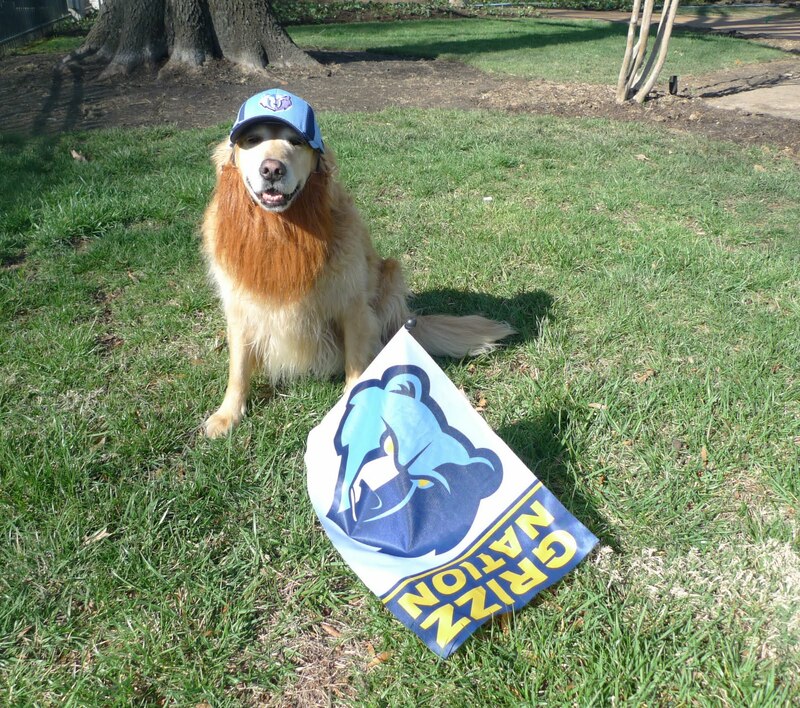 My playoff beard and I are the guardians of the Blue and Gold and the defenders of Grizz Country." 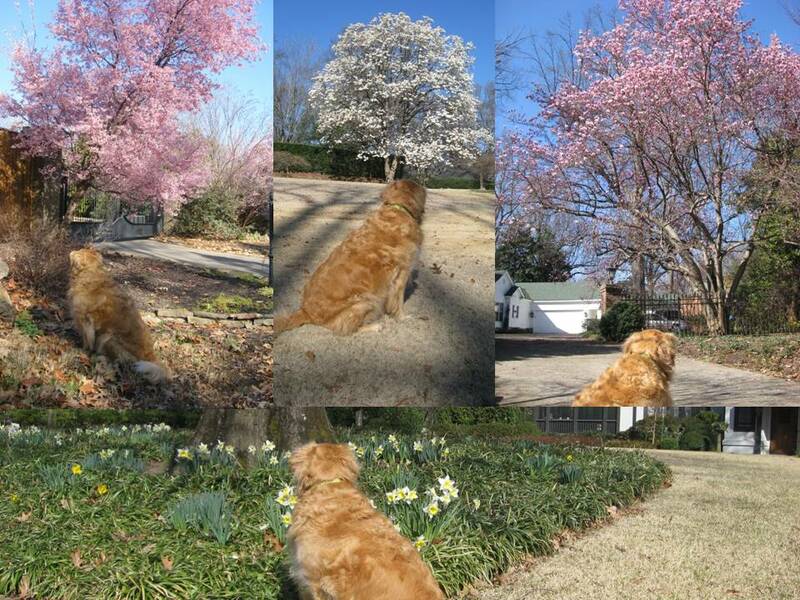 Yesterday was the first official day of Spring. So I took a stroll and a roll outside. 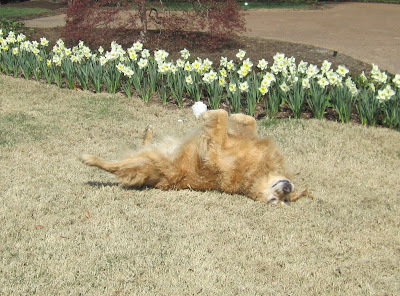 I really wanted to tiptoe through the tulips, but Mom told me they were daffodils. I said I could go dallying through the daffodils. She told me to stick with my SpringRolls. Sydne is my human sister who I love very much. She lives far away in Los Angeles. Sydne is the fashion icon in the family. Everything she does is about Fashion...hosts, styles and blogs! Her blog is http://www.thinkthrufashion.com/ . My guess is that when she was my age, Mom probably dressed her up a lot too. So that possibly influenced her style and career. Maybe I should follow in her footsteps. 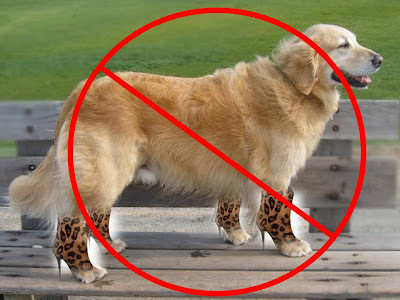 A new blog... ThinkThruDogFashion? Ok. Maybe not. The temperature has been in the 70's. So yesterday I thought I could go swimming after my walk. Well I went out to the pool and I thought UhOh! What happened to my pool? Mom explained that that it needed to be redone with new tiles and stone. Ok. But why did they have to take out the water? Yesterday was my official Gotcha Day. For those who have never been rescued, that is the day when I got my forever home. I bet you didn't know that my name used to be Goose! 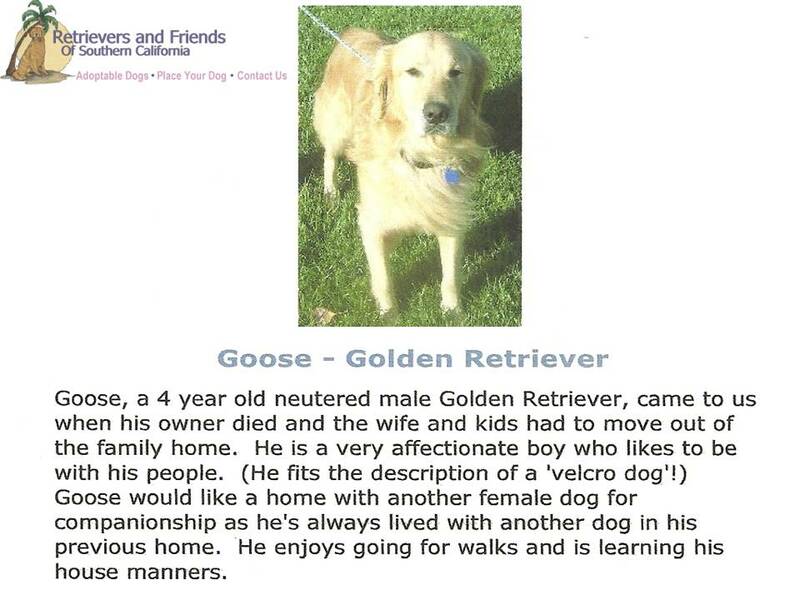 I lived with a family until bad stuff happened with them and after four years they dropped me off at Retrievers&Friends in Temecula, CA. I was soon adopted by another family. They changed my name to Bear ! Then after nine months bad things happened in that home and they didn't want me anymore. So I went back to the nice rescue place. I tried my best to keep my spirits up cause I knew in my heart that there was a family out there who would love me just as much as I loved them. And then on March 17, 2007, my Forever Mom & Dad arrived to take me home. 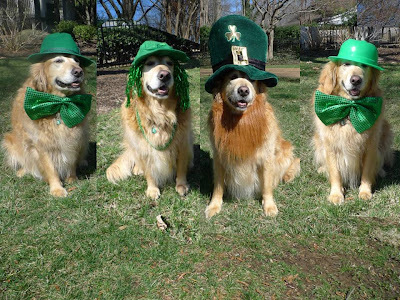 Today is St Patricks Day. So since my Dad is an Irish American, all of us are half Irish. Which gives Mom a perfect excuse to dress and take pictures of all of us for the occasion. Fuzz went along with it until the beard and braids came out of the bag. The other day my Dad went on a business trip. When he returned he told me that he got me something. Fuzz and Rosy said "What about us?". But he said no, just Bear. I felt very special. When I opened it up, I was a bit surprised. He got me a bag of Bear Poop from Colorado. But I manfacture bags of Bear poop everyday. Is my poop being sold across state lines? Should I be getting royalties or something? A nice friend of my parents sent us each a duck. When you squeeze them they scream AFLAC! So that was enough of a clue to realize they are those famous ducks that are on commercials. We introduced them to our Peabody duck, a local celebrity in Memphis. He wanted to know what it would take to become a famous Aflac duck. They told him he was the wrong color. Sad. Duck discriminiation. Its finally here. 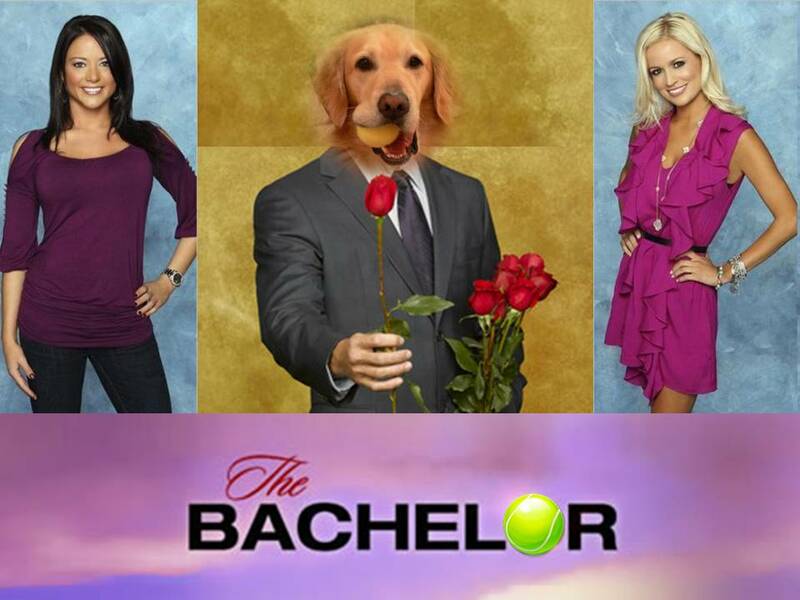 The ending to this season's The Bachelor. If it were me, I would pick Emily. She has been my favorite from the beginning. She is so pretty and sweet and she has beautiful blonde hair. 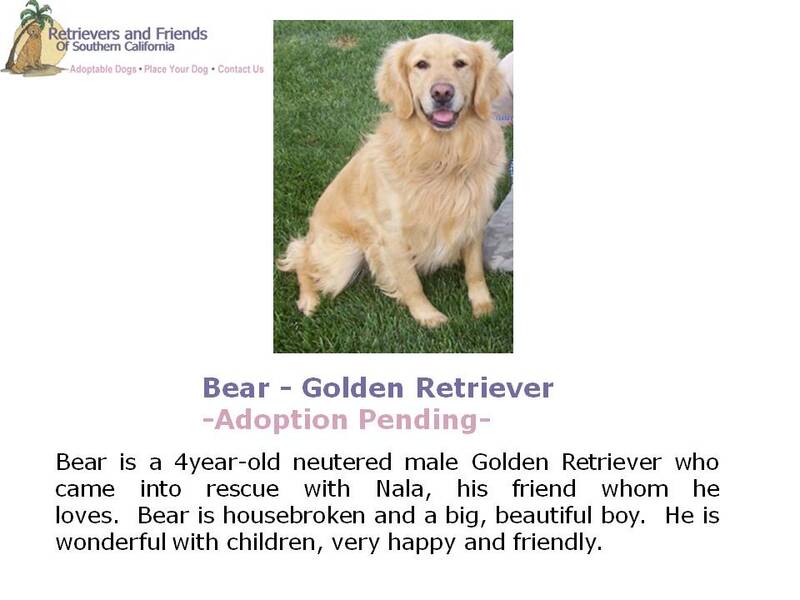 And that sounds an awful lot like a Golden Retriever. Which gets me to thinking. I am still waiting for them to do The Dogelor. I think I would be the perfect candidate. 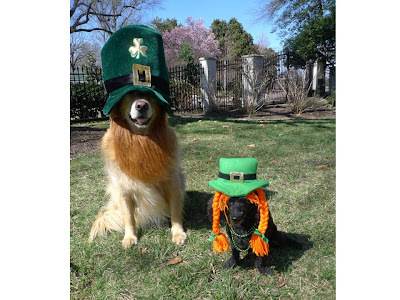 St Patrick's is coming up this week. I was all set on wearing my hat and bowtie (outfit number 4). I even took a picture for my profile on Facebook and Twitter. But then Mom went to Party City and as usual just couldn't resist. So now I need to decide which outfit I should wear on St. Patricks Day. I narrowed it down to four. Which one do you think should I wear? I just found out that Mark Zuckerberg has a dog now and he is on Facebook. He is a Puli puppy and his name is Beast. Puli's have such cool fur, similar to dreadlocks. I wonder if they will make a movie about Beast too. Social Dogwork? 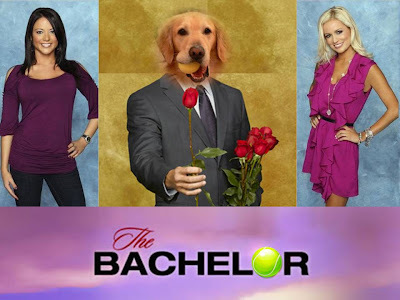 Anyway, welcome to the world and DogFace Book. I like you Beast. I hope we can be friends! Last week Bear blogged about my CatScan for my sore shoulder. I also had a joint tap test. Well, the results are in. Everyone cheered "Great news!" My diagnosis is "acute exacerbation of a chronic condition - OCD. (That's positive news?) Anyway, I don't have limits on my physical activity other than I can do a 1 mile not a 2 mile walk (Now that's good news to me!) But I am not cheering for the rest of the news. I need injections for my shoulder every 3 months. Yah, shots. Bear told me I can work that into extra treats though. He said he will help me strategize. Today is Barbie's birthday. Mom loved Barbie when she was a young girl. 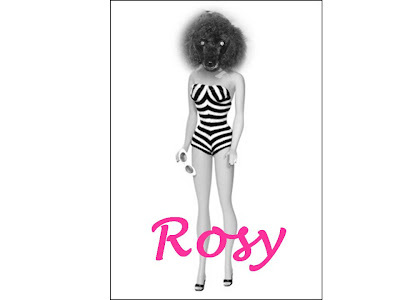 So it got me to thinking, maybe I could get a Rosy Barbie made for Mom. Then she could dress her up in all sorts of clothes and take the pressure off of Rosy (and me and Fuzz). Rosy would really owe me. I wonder who I should call at Mattel. Last August when they were still unsure who the two new judges would be, I suggested myself and my neice BunnyBell . 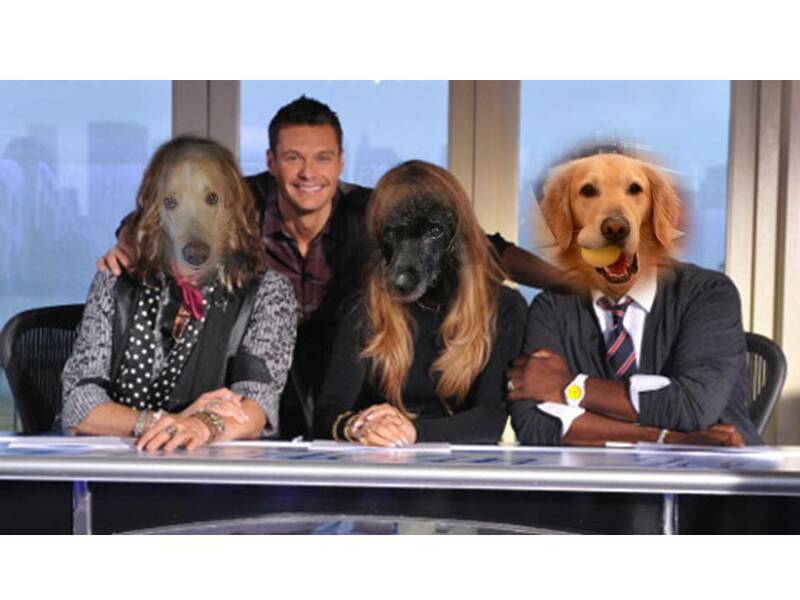 Well now after watching the new judge panel - Steven, JLo & Randy, I think they are doing a great job. However, if there is to be an American Dog Idol, I think Fuzz, Rosy and I would make a great judging panel. Don't ya think? Today is Mardi Gras. Part of the celebration includes wearing masks and costumes. We told Mom no to the masks, but we liked the hats. I also understood that it is called Fat Tuesday because of the tradition of eating richer foods on the last night before Lent. So we requested yummy rich foods. Mom said, we don't do Lent, so no reason for that type of food today. I think she was just annoyed cause of the masks. Yesterday I went with Mom to Hollywood Feed, our local pet store. When I walked in I saw a really pretty dog so I introduced myself. She told me her name is Darby and is being fostered by the nice lady at the store. I told her I thought it was cool that she gets to stay in the store a lot. She said no, she would much rather be in a nice forever home of her own. I told her I hope she gets her wish real soon. I just said it can't be my home because I can hardly deal with Rosy. Can you adopt Darby please so I can come over and play with her? I am charge of making sure that the bird feeders are full. I think it is very important now especially because there seems to be a lot more birds in the neighborhood. I noticed they were empty, so I told my Dad it was time to fill the birdfeeders. I supervised the event to make sure he does it right and fills it to the top. Unlike Mom, he does it very precisely and doesn't spill. Good job Dad. Whenever my Mom goes to Target, I get very concerned with what she might find. Well, the other day, my concern was justified. 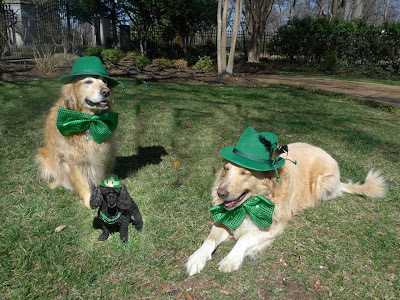 Even though it is about two weeks away, she just couldn't resist St Patrick's Day stuff. And of course, it ended up on me. I was not happy. She said not to worry, there are a lot of other St.Patty's choices for me. Uh Oh. 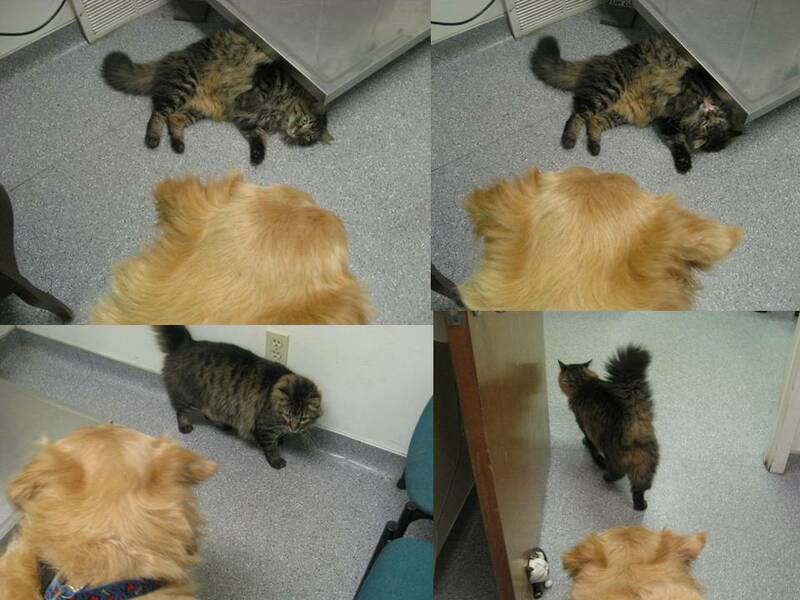 The other day I had to go to the vet. 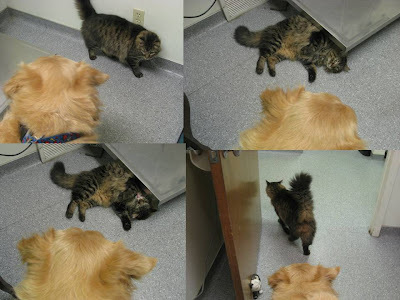 While I was waiting in the examining room, a kitty came to visit. He said "Hi Fuzz", then laid down and proceeded to bathe. I really didn't think he was dirty. Then he left. I guess he is the entertainment at the Vet since they don't have TV. I wonder how much he gets paid. On my walk yesterday I saw so many signs of Spring! Some of the trees have these really pretty flowers on them in pink or white. Then there are these pretty yellow flowers starting to pop up from the ground. I know, Spring is a positive thing. But I assume that means there is a low likelihood of more snow. Bummer. Fuzz has a very sore shoulder. So he went to the vet who told him he needs to take tests (but he did not give him any homework), Anyway, today Fuzz is going to get the tests. 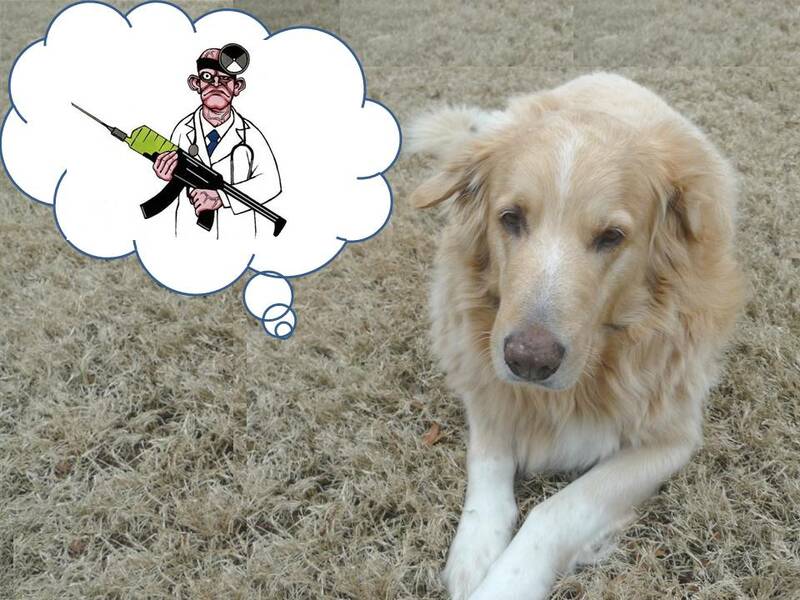 Mom said he will be getting a CatScan. 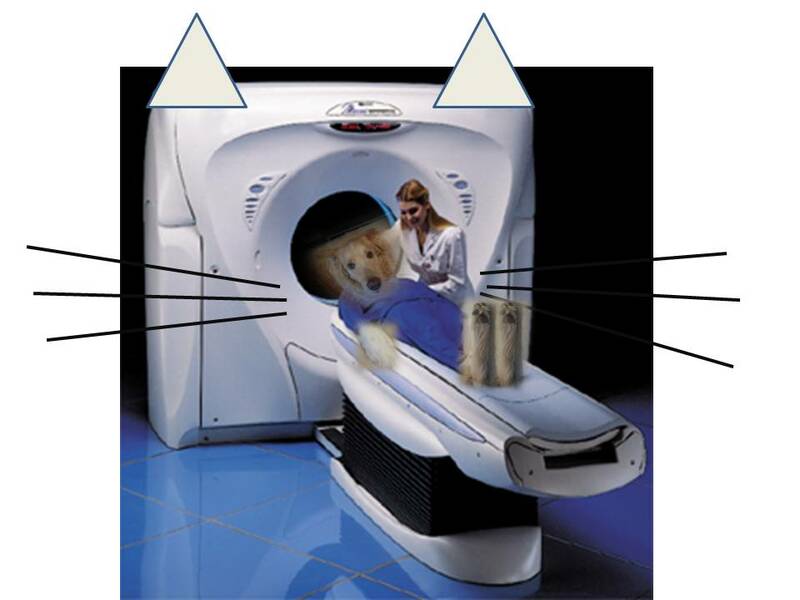 I really dont understand why he doesnt get a DogScan. Wouldnt that make more sense? Fuzz and I get along very well. But the other day I accidently peed on his head. Of course I said I am sorry. But Fuzz kept barking. What could I say? Its not like I did it on purpose. But he kept on barking at me. Fuzz barked so much that I felt like my ear was going to fall off.